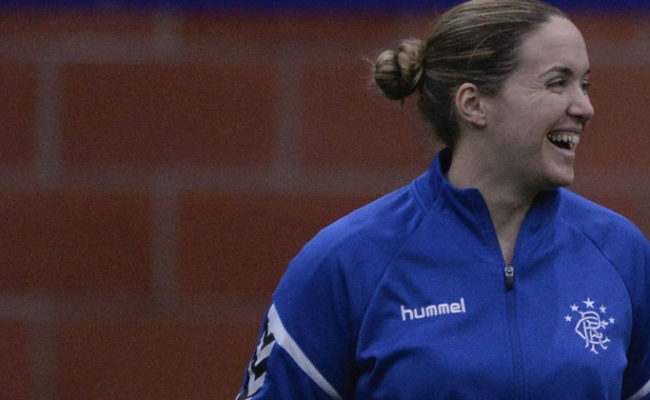 AMY MCDONALD has called on her players to seize their 90 minute opportunity to reach the SWPL Cup Final this Sunday. 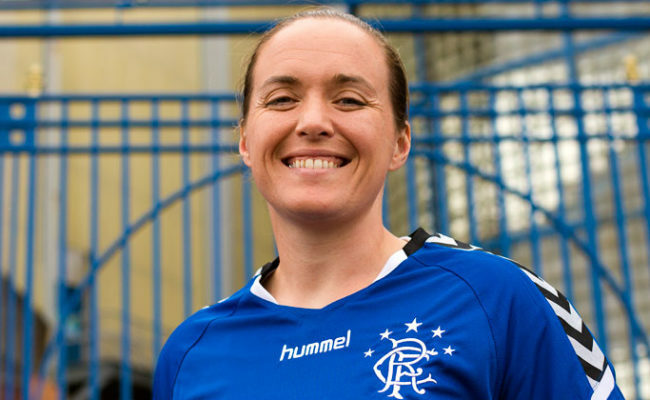 The Rangers Head Coach is preparing her side to take on Glasgow City in the Cup semi final at Broadwood this Sunday. 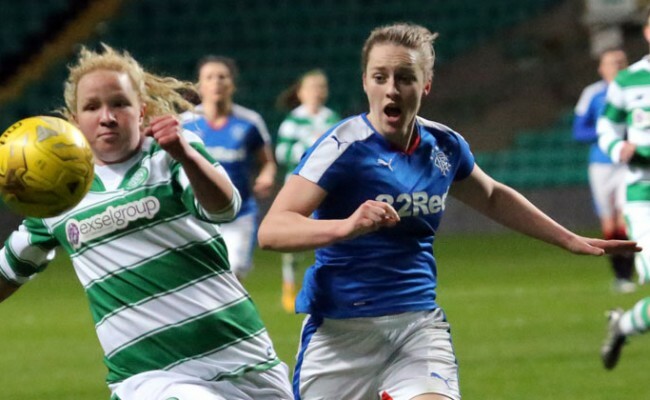 Glasgow City are of course the reigning SBSWSPL champions and McDonald is under no illusions as to how hard it will be, but is determined for her side to do well. She said: “Any cup game is 90 minutes so we have 90 minutes to go out and test ourselves. “We will go into the game with a clear game plan and the players are really motivated to do the club and themselves proud. 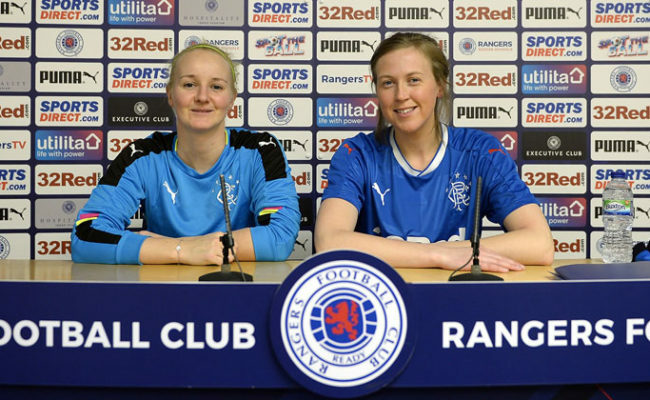 “I think being drawn against Glasgow City in the semi-final stage, you want to be able to get to the final, but for me if we want to be in the final then we need to be able to beat teams like City and Hibs. 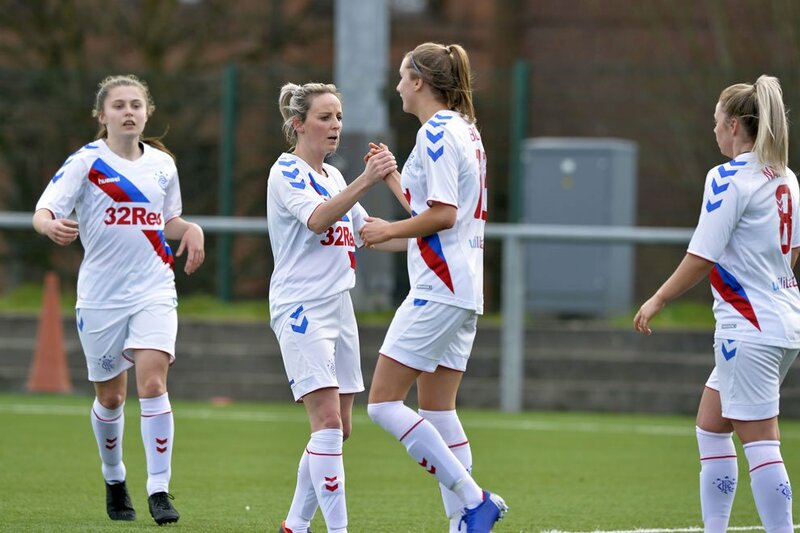 With there being no mens first team match this weekend, McDonald is keen for as many Gers fans to come out and support the team at Broadwood Stadium in Cumbernauld (MAP), with the match kicking off at 15:30 on Sunday 14th April. 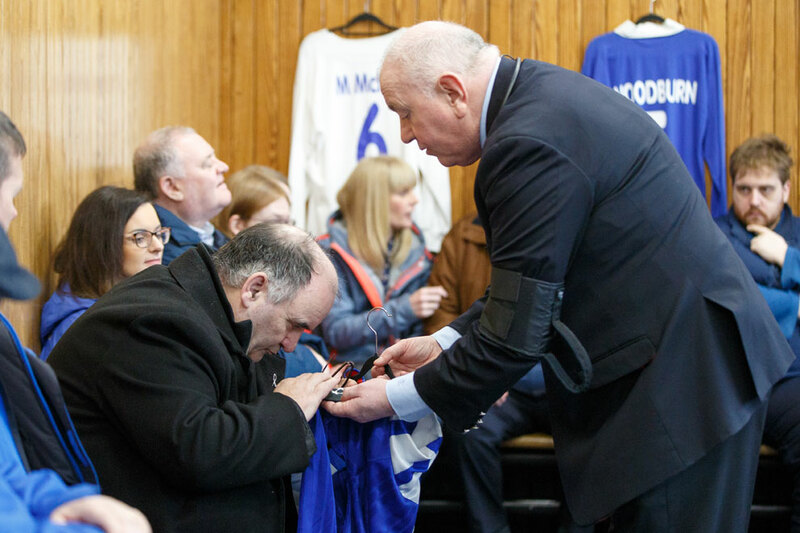 “We want as many Rangers fans as possible to come out and have an affordable day with the family on Sunday. “Hopefully the Hibs v Spartans game will be fairly competitive in the earlier kick-off and then we can do the same against Glasgow City. “The Glasgow City players, particularly the ones who are involved in national squads, are fitter and stronger than they have ever been. 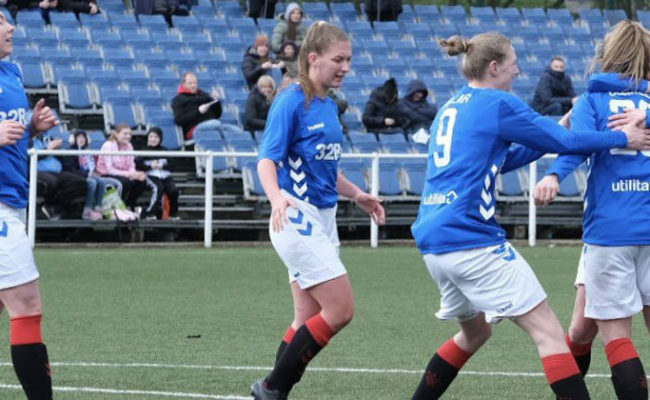 The Gers match against Glasgow City earlier in the season was postponed, so this will be the first time that McDonald’s side will be able to test themselves against the current champions. She continued: “This will be the first time we have come up against them this season and they have changed their shape this season in some games. “I think the game changer for them against Hibs was when Jo Luck moved into midfield, it really spurred them on. “There is no doubt they have some of the best players in the country but we need to keep pushing. “Two and a half years ago we couldn’t play against teams like that and had huge scorelines against us, now we go out and give a good account of ourselves. Tickets for the game are priced at £5 for adults, £2 for concessions, and under 12’s go FREE! Tickets are available on the gate with spectator access via the Main Stand (turnstiles D, E, & F). Parking at the stadium is available and is FREE. Working with Edinburgh College, both games will be live streamed online via BBC Sport online.